I always find that when spring rolls around my skin starts to feel like it is coming back to life again (also a few weeks in California never hurts ;). With a bit of bronzer, blush and a fresh new pop of lip colour, I can already feel like summer is just around the corner. 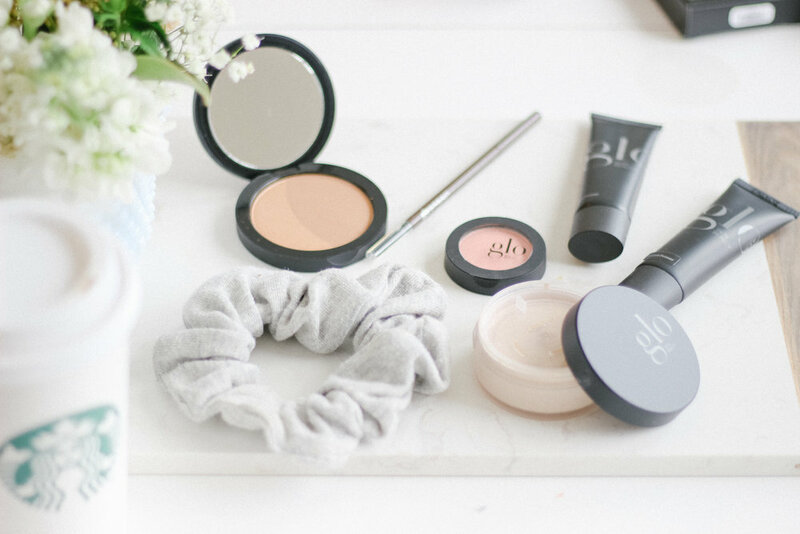 Spring is the perfect transition time before the warm summer sun and there are a few essentials from Glo Skin that help me look like I feel: refreshed and rejuvenated! One of Glo Skin’s new Kits is the Ready, Set, Kiss Touch Up Kit. 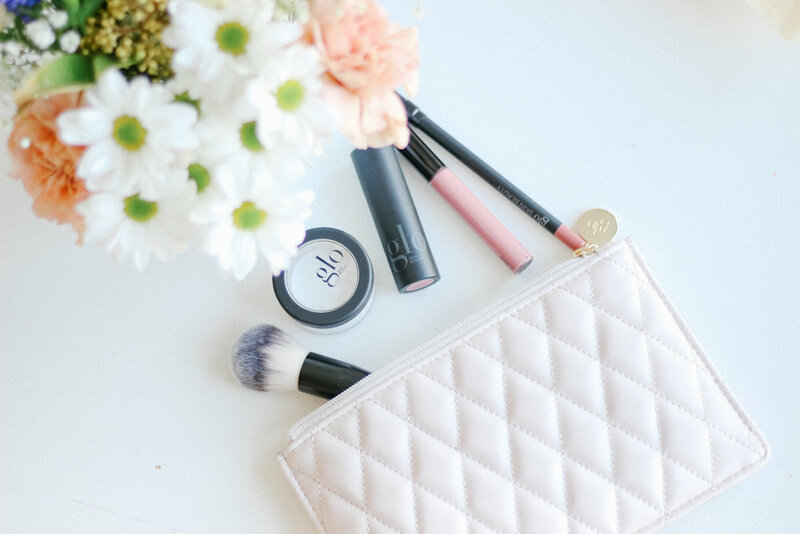 This kit is perfect to have in your purse as it has all the essentials for a quick lip touch up including lip stick, lip pencil, lip gloss, setting powder with a brush and it comes in an adorable light blush pink pouch. It would be the perfect gift for a bridesmaid, bride, graduate, mama-to-be or for any special occasion. They also have a Meet Your Match Foundation Kit and Desk to Datenight Kits! In spring, I love a bit of a base colour in my face. Sometimes I find that the winter months can leave me feeling a bit pale and I love using a tinted primer as part of my base. Some days, I can even just use tinted primer and add a bit of bronzer and blush and be good for the day. Other days, when I want a more finished look, I can layer my Pressed Base on top of the primer for the extra polished finish. I have tried many different brands for bases and I like the featherlight texture of Glo Skin’s Pressed Base as it allows for good coverage as well. The sweet blush colour is perfect for spring. 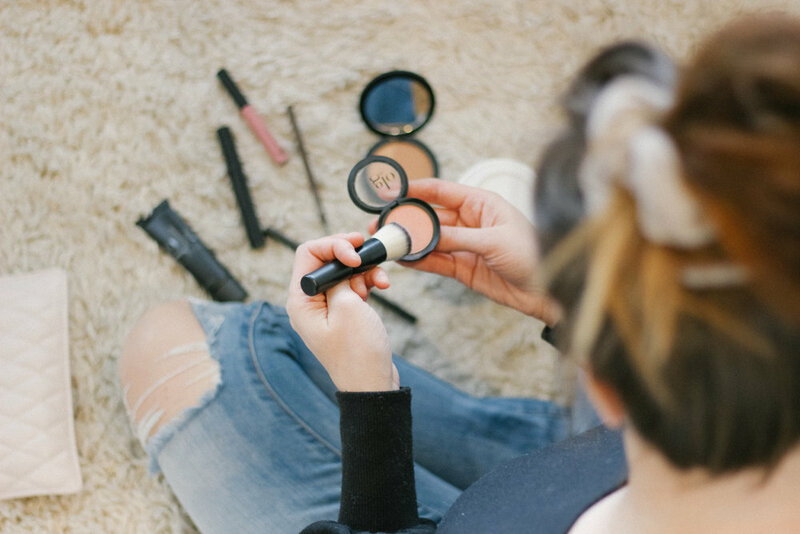 It’s subtle pop of peachy pink adds brightness to the face creating a light, rosey look. 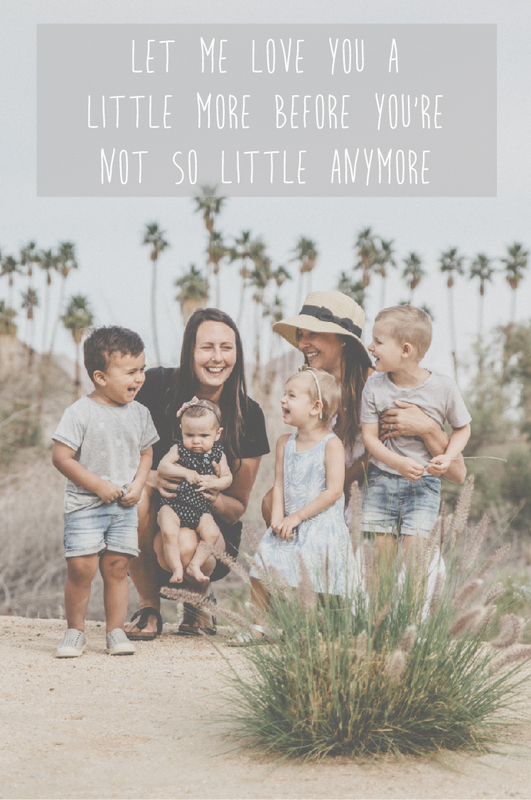 I know with two newborns arriving (one in a few weeks and another in a couple months), Lauren and I will definitely be looking forward to using their Under Eye Concealer - because you know we will need it! 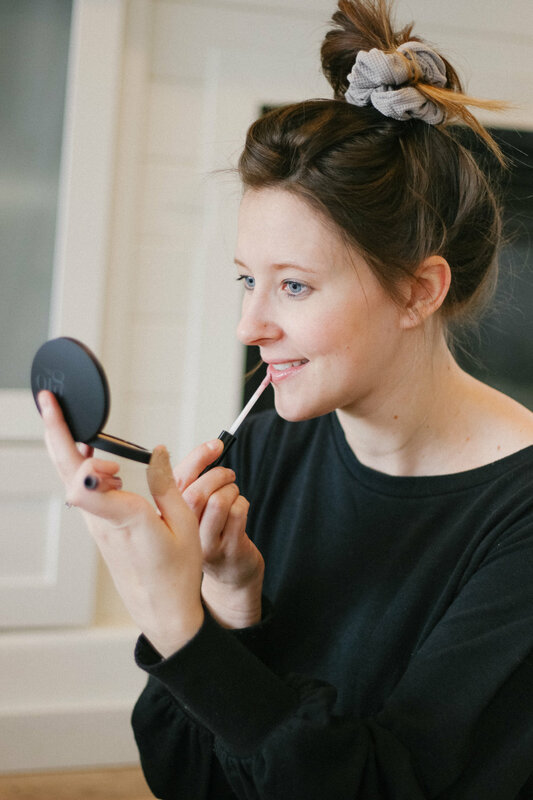 However, on those mornings that are rushed, when you are just trying to get three children dressed and out the door, I love that after a bit of tinted primer, Lash Lengthening Mascara and gliding on some Micro Browliner, those three quick little steps will make me feel put together!